Drivers ignoring stop signs and flashing lights on a school bus create a dangerous situation for many children on their way to and coming home from school. It happens too often, and catching the violators is difficult. I am happy to report that legislation (A.321) I have sponsored since 2013 was included in Gov. Cuomo’s Executive Budget proposal. If included in the final budget, it would allow school districts to contract with companies to install cameras on the “Stop-Arms” of school buses to catch and fine illegal passers. These images would be turned over to law enforcement officials and upon viewing, those who violated the law by passing a stopped school bus would be fined $250 per violation. The funds would be sent to school districts to offset the costs of installing and operating the cameras. The illegal passing of stopped school buses has become a serious public safety danger for our school children. 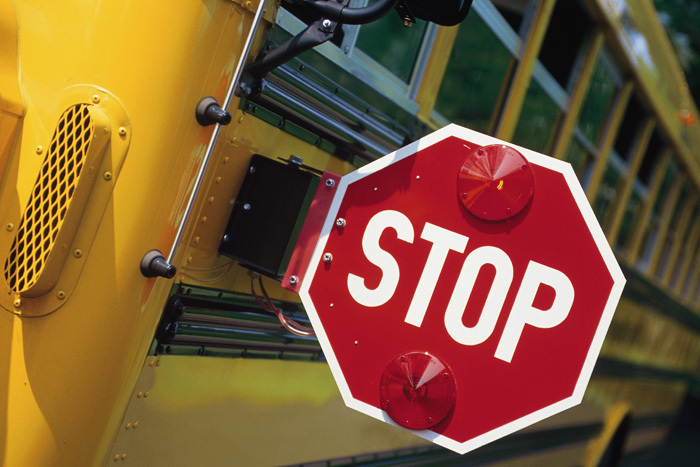 A 2016 CBS News Report indicated that approximately eight children are killed every year in the United States by drivers who ignore school bus stop signs. Last year, New York State “Operation Safe Stop” ticketed over 1,000 violators on a single day. Current law requires a law enforcement officer to witness the violation to issue a ticket, whereas this legislation would allow the use of cameras for enforcement. Placing cameras on the school bus stop arms would allow simultaneous surveillance of many areas at once as school buses completed their routes. A recent pilot program in the Bay Shore School District in Suffolk County placed cameras on the stop arm of the buses. The cameras recorded 583 illegal passes over a four-month period, or 6.9 per day. It is estimated that more than 50,000 drivers throughout New York illegally pass a stopped school bus every day. At least 15 states have school bus stop-arm camera laws, including Arkansas and Utah, which passed in 2017. Adding New York to that list would enhance measures of making sure that our students are provided the safest environments possible not only in school, but also when going to and from school. I have sponsored this legislation since 2013 and will advocate strongly for its inclusion in the final state budget. If you have any questions or comments on this or any other state issue, or if you would like to be added to my email list to receive my monthly e-newsletter, please contact my office as follows: by mail: 333 E. Washington St., Room 840, Syracuse, NY 13202; by email: magnarw@nyassembly.gov; or by phone: (315) 428-9651.